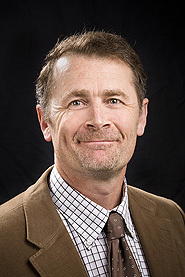 Malachy (Mal) graduated from the University of Western Australia’s Medical School in 1985. After several years of private General Practice, Mal commenced his radiological training completing his studies in 1996. In the same year he joined Perth Radiological Clinic and became a Partner in 1998. Mal also completed a musculoskeletal ultrasound training program at the Henry Ford Hospital, Detroit, Michigan in 1997. He is currently the Managing Partner of Perth Radiological Clinic’s Bethesda Hospital Branch.